Yesterday I suddenly lost sound on my pC. I use a headset so as not to disturb my wife. I went to DELL support and downloaded the latest driver and installed it on my PC. Everything looks ok, but every time I try to configure it, I get a message that "no jack information is available". I have tried both front and rear jacks and still get no sound. Any clues on where I go from here? Before our users can assist you, we need to know the system model, operating system, and specific audio device. I am using a DELL XPS-400 Desktop using Windows 7.0 and the sound card is a SigmaTel High Definition Audio. then install Directx June 2010 patch. Then install the Vista Driver because these didnt come with windows 7 and therefore do not have WIN7 Drivers. and DX10 drivers from the june 2010 PATCH. You download the file. extract to a folder and run the dxsetup.exe file as administrator. 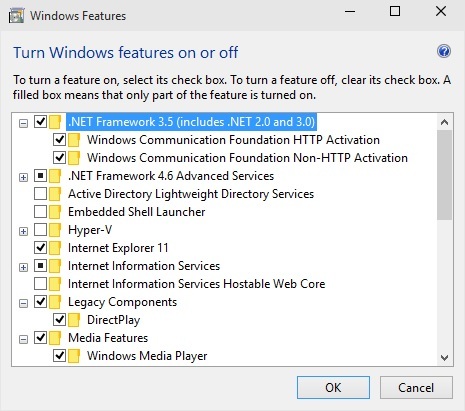 You also have to re enable DOTNET and Legacy Direct play. I finally did everything you told me and the error messages went away, the audio control when I hover over it says (speakers/headphones 95%) so it recognizes the jacks. BUT I still can't get any sound through my headphones. I am going out and buy a new pair to see if that is the problem.